Saturn Sadesati is the 7.5 years long transit of Saturn through the 12th house to the 2nd house during which time Saturn may give an unusual amount of stress to the person. What can you expect during Sadesati? 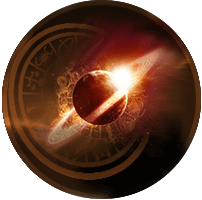 Saturn may put you under financial and personal stress, create frequent obstacles and stop you from achieving success easily. Saturn will challenge you and if you do not rise up to the challenge then you may face failure. This report gives you a basic overview of your Sadesati, giving you the dates, and a very basic analysis of the impact of Sadesati on you.